Lemon Grass” or “leeli-chai” and has healthy properties. You can find it in chinese markets in water containers. Here is an article on the benefits of Lemon Grass, you may find interesting. Lemon grass is a perennial, aromatic tall grass with a light lemon scent used for culinary and medicinal purposes. For centuries, herbalists have used the herb as an effective digestive tonic and nervous system relaxant. Lemon grass oil is used to help clear blemishes and maintain balanced skin tone. 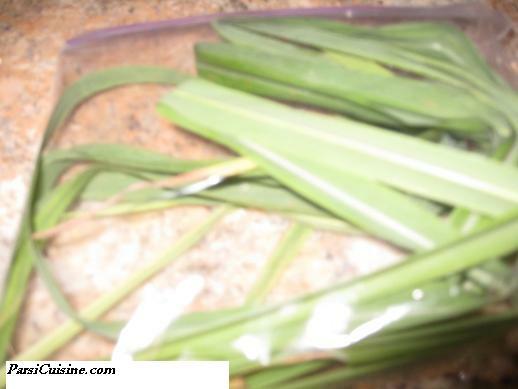 Lemon grass is also used as an insect and mosquito repellent. Now, according to Israeli scientists, they can add cancer prevention to the list of attributes associated with lemon grass. If you are a cancer patient in Israel, your doctor is telling you to drink fresh lemon grass tea on the days that you go in for radiation or chemotherapy treatments. Ben Gurion University of the Negev researchers made a discovery last year that the lemon aroma in herbs like lemon grass kills cancer cells in vitro, while leaving healthy cells unharmed. In a fascinating article published in the Health section of Israel21c, it states that the study found the citral in lemon grass causes cancer cells to commit suicide in a process called apoptosis, a mechanism called programmed cell death. A drink with as little a one gram of lemon grass contains enough citral to signal the cancer cells to commit suicide. It all began when researchers at Ben Gurion University of the Negev discovered last year that the lemon aroma in herbs like lemon grass kills cancer cells in vitro, while leaving healthy cells unharmed. The research team was led by Dr. Rivka Ofir and Prof. Yakov Weinstein, incumbent of the Albert Katz Chair in Cell-Differentiation and Malignant Diseases, from the Department of Microbiology and Immunology at BGU. Why does it work? Nobody knows for certain, but the BGU scientists have a theory. The success of their research led them to the conclusion that herbs containing citral may be consumed as a preventative measure against certain cancerous cells. As they learned of the BGU findings in the press, many physicians in Israel began to believe that while the research certainly needed to be explored further, in the meantime it would be advisable for their patients, who were looking for any possible tool to fight their condition, to try to harness the cancer-destroying properties of citral. That’s why Zabidov’s farm – the only major grower of fresh lemon grass in Israel – has become a pilgrimage destination for these patients. Luckily, they found themselves in sympathetic hands. Zabidov greets visitors with a large kettle of aromatic lemon grass tea, a plate of cookies, and a supportive attitude. Zabidov knew from a young age that agriculture was his calling. At age 14, he enrolled in the Kfar Hayarok Agricultural high school. After his army service, he joined an idealistic group which headed south, in the Arava desert region, to found a new moshav (agricultural settlement) called Tsofar.